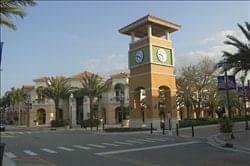 Find My Workspace lists over 95% of the executive office suites market in Weston. Simply click Request Quote to check pricing for one office, or Add to Basket for multiple offices. In the heart of beautiful Weston Town Center, the offices blend unique hometown charm with a sophisticated and luxurious professional environment unmatched for its convenience, customer service, flexibility and affordability. Offering a flexible office choice to suit each individual business owner. The offices enable you to move into a fully staffed, furnished and technologically equipped office and start work the same day. Providing Executive Offices and Virtual Offices with a prestigious business address, access to business services and a location for meetings. Looking for a single executive suite, a branch office you can have up and running almost instantly or a way to give your organization the room it needs to grow? This center offers offices of varying sizes, suiting all business needs. The space provides a professional business environment, state-of-the-art conference rooms, furnished offices, and comprehensive reception services. The on-site staff are always ready to provide you with the administrative and technical support you need to concentrate on your business.